When Mickey Rooney died on April 6 at the age of ninety-three, he’d been in show business for a surely unprecedented ninety-one years. (He was shooting not one but two movies at the time of his death, including the third in the A Night at the Museum series.) His parents were vaudevillians who introduced him into their act when he was seventeen months old; he started making film shorts in 1926, first as Mickey McBan and then as Mickey McGuire. He was all of fourteen when he played Clark Gable’s character as a boy in Manhattan Melodrama, the earliest of his many movies at M-G-M that film buffs are likely to have seen. (It’s a famous picture, though not because of its cast; it acquired instant notoriety when John Dillinger was shot down as he emerged from a Chicago movie house playing it.) A number of film personalities in the early days of the talkies began in vaudeville (Al Jolson, Eddie Cantor, Fanny Brice, The Marx Brothers), but Rooney retained a special connection to it because the musicals he and Judy Garland made in the late thirties and early forties – Babes in Arms, Strike Up the Band, Babes on Broadway and to a lesser extent Girl Crazy, which was the best of them – were imbued with the vaudevillian spirit. They were about brave, persistent adolescents who want to put on shows and usually have to fight authoritarian adults with sticks up their asses who try to get in their way. In Babes in Arms, the flagship musical in the series, which was adapted from a hit Broadway show by Rodgers and Hart, Rooney and Garland and their cohorts are also the children of vaudevillians who are on the road, fighting the Depression in order to put bread on the table, and the success of their kids’ musical revue keeps the do-gooding locals from farming them out to orphanages. The message of all four of these movies was the same: talent will out. 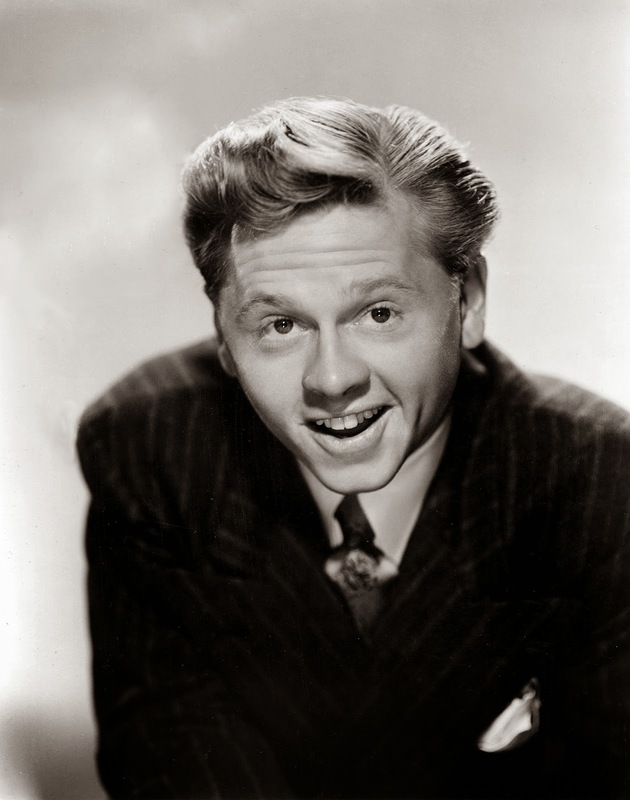 And though Rooney also starred in the fantastically popular homespun Andy Hardy series (twice opposite Garland), it was in these musicals that he truly made his mark. Babes in Arms didn't invent the backstage movie musical; the genre goes all the way back to 1929’s On with the Show!, and Busby Berkeley staged the numbers for a raft of that picture’s successors at Warners in the thirties, beginning with 42nd Street. But Babes in Arms (which was also directed, like the other three Garland-Rooney musicals, by Berkeley) modified the conventions in a way that became archetypal because it presented a wish fulfillment fantasy for star-struck young thespians everywhere: if you can hoof or croon, if you form a community of like-minded kids, if you keep the faith – and if maybe you’ve got a relative with a barn you and your friends are happy to clean out – then you can rock the civilized world. These four musicals aren’t among the finest of their era, except for the Gershwins’ Girl Crazy, but they form a distinctive subgenre, and, largely because of the two stars, they’re distinctly endearing. Garland was the winsome, romantic half of the pair; Rooney was the cocky, aggressive one who, out of ambition or immaturity, sometimes behaved selfishly but always came through in the end. His show-biz brashness was as much a part of his appeal as his boyishness and his knockout musical-comedy skills. You didn’t expect him to be subtle or modest; you didn’t want him to be. While Garland had the sweetest set of pipes in movies and a naturalness on camera that made audiences fall in love with her – the neurotic, quavering, desperate-to-please Garland of A Star Is Born and the Carnegie Hall concert and the TV variety show bore little resemblance to the Garland of the thirties and forties – Rooney was a dynamo. In the context of these movies, he had to be, or how could the young men he played make themselves heard above the din of intolerant grown-ups who wanted to shut them and their friends down? Rooney didn’t tone down for many years, even when he made the shift into straight drama in the fifties and took on unlikable roles like Sammy Hogarth, the grasping, megalomaniac TV personality in 1957’s “The Comedian” on Playhouse 90, one of the most famous dramas to surface in the days of live television. (Rooney appeared on TV a lot in the fifties; he even had his own comedy show in the 1954-55 season.) “The Comedian,” which was written by Ernest Lehman and Rod Serling and directed by John Frankenheimer, isn’t very good; it’s crazily overheated, and everyone overacts – Edmond O’Brien as the head writer, Mel Tormé as Rooney’s weak, subservient brother, even the normally gentle Kim Hunter as Tormé’s exasperated wife. But Rooney, unlike his fellow actors, is mesmerizing. His excessiveness overlaps so much with Sammy’s that at a certain point they become indistinguishable. By the fifties, Rooney was also capable of the kind of comic verve and daring and inventiveness that put him in the company of geniuses like Sid Caesar, Jerry Lewis and Buddy Hackett. In Operation Mad Ball (also from 1957), an irreverent army comedy that is one of the two or three funniest movies of the decade, he plays a jiving, randy supply master-sergeant named Yancy Skibo whose kinetic energy and speed of delivery outdistance those of any comedian until the young Robin Williams. And though it’s politically incorrect to praise his impersonation of Holly Golightly’s Japanese neighbor in Breakfast at Tiffany’s (1963), really I must: it’s a brilliant example of the art of comic caricature. Mickey Rooney as Army in Requiem for a Heavyweight. Rooney was almost always a larger-than-life personality; when he finally made it to Broadway, it was in a musical revue called Sugar Babies that harked back to the days of burlesque. (He and his co-star, Ann Miller, both won Tony Awards.) But in fact he was capable of understatement. You can see it as early as National Velvet (1945), where, under Clarence Brown’s sensitive direction, he plays a one-time jockey, fallen from grace, who’s redeemed by the innocence and nerve of a girl (the dazzlingly beautiful young Elizabeth Taylor) whom he trains for England’s Grand National Sweepstakes. And he demonstrates it again in my two favorite Rooney performances, the first from 1962, the second from 1979, the year he went on in Sugar Babies. 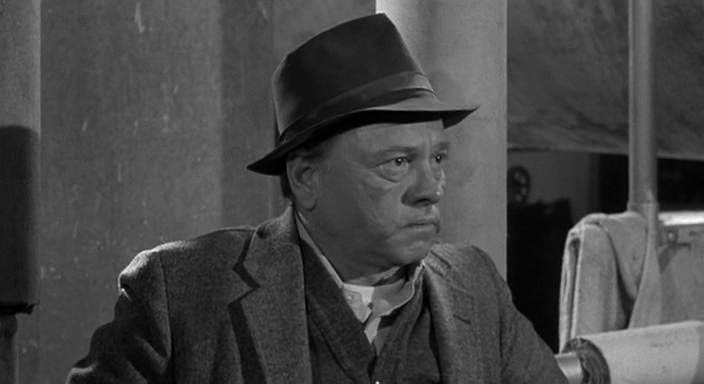 In Requiem for a Heavyweight, adapted from Rod Serling’s teleplay, he gives a tender, full-hearted portrayal of the loyal trainer who has to stand by and watch while his friend and charge, the has-been prizefighter “Mountain” Rivera (Anthony Quinn), flails about in a world that no longer has any use for him and descends into ignominy. (Rooney takes on the role Ed Wynn played on TV.) The man behind the camera, Ralph Nelson, was barely a filmmaker at all, but the material and the three performances at the center of the picture – the third is Jackie Gleason’s as Mountain’s manager, who makes a pact with the devil that Rivera has to make good on – turn it into a small classic and a genuine heartbreaker. And in his masterpiece The Black Stallion, Carroll Ballard evokes the Rooney of National Velvet as he guides him through the role of Henry Dailey, whose buried jockey past comes to life once more when he does for the boy, Alec (Kelly Reno), what Mi Taylor does for Velvet Brown. Both these enduring equestrian movies belong to a subcategory of the coming-of-age picture in which a child’s relationship with an animal of legendary beauty and power is the key to growing up (and, in the case of The Black Stallion, a symbolic substitute for a lost parent). But Henry, like Mi, is the other crucial link for the protagonist. Rooney’s exquisite performance as the diamond-in-the-rough Henry, who offers love to Alec in the form of patient coaching, tireless encouragement and absolute understanding, was the high point of a career that can only be called remarkable.